Irizar Director, Gotzon Gomez Sarasola, presents Geoff Bell and the team from Scania with a celebratory Basque stick of friendship. Going down the line at the same time as Harry Shaw’s Century was a similar coach for Beavis of Bussage which went on to win the Coach of the Year trophy at Brighton in 1994. Here it is nearing completion on my first visit to the plant 20 years ago. The very first Scania Irizar delivered in the UK was this K113CRB Century in Harry Shaw’s then new livery. John Shaw sports the celebratory txapela (beret) presented to him by Irizar. He purchased the first Scania Irizar in the UK and has continued to buy Irizars regularly ever since. Martin West, General Manager – Retail Sales and Bob Nevitt, General Manager Bus & Coach Customer Support, present Gotzon Gomez Sarasola and the Irizar team with a commemorative plaque. New from Scania with delivery available from early in the New year is the i3 low entry city bus on the 12m KUB250 chassis. A variety of i3 interior options are possible. This is one of the launch vehicles shown at the FIAA show in Madrid last year. 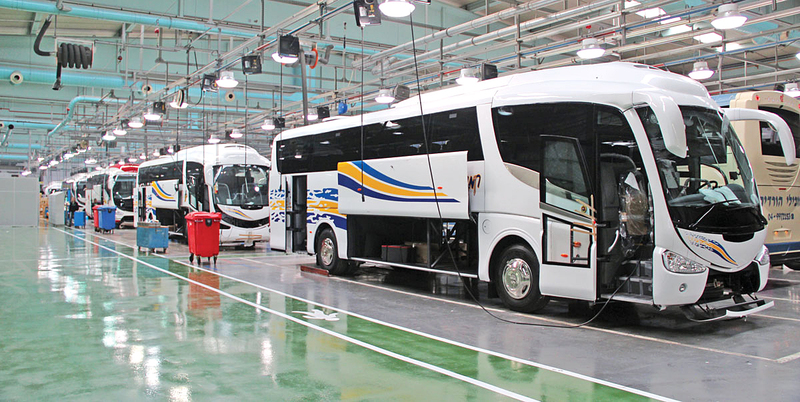 Vehicles on the six lines in the continually developing Irizar plant. Century model coaches on the line in the plant. Unlike the more recently introduced models the Centuries have their roof interiors fitted on line whereas the PB, i4 and i6 have the entire roof, including all of the interior fittings, manufactured down the road from the main plant and fitted complete. 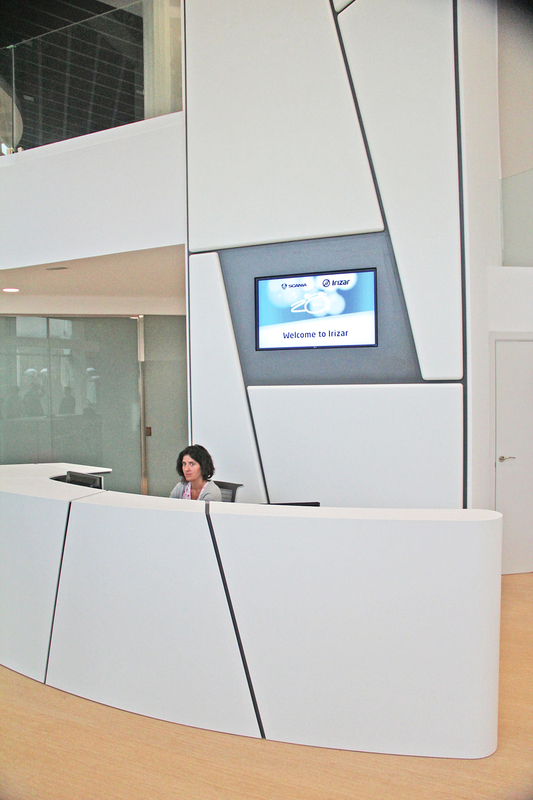 The new reception area at the Ormaiztegi plant. The frontage of the new building. 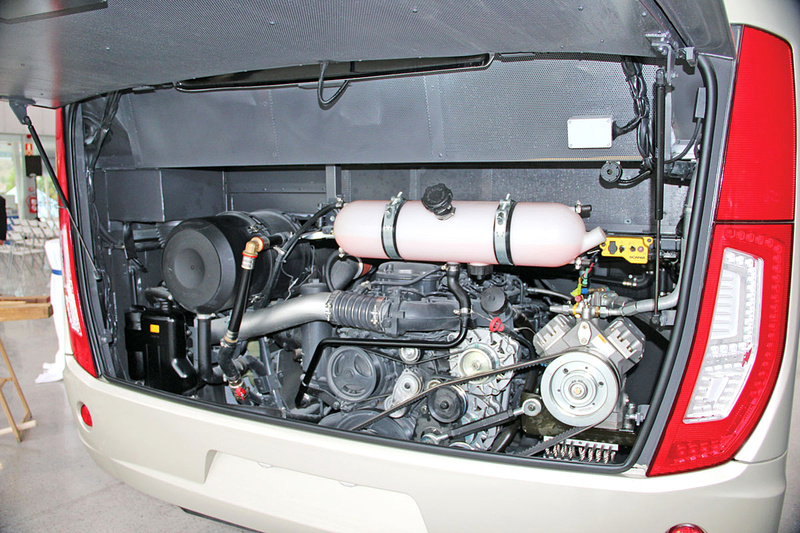 Beneath the engine cover of the Euro6 i6 is rather less cluttered than other new generation coaches I have seen. The Euro6 DC09 produces 360hp at 1,900rpm and torque of 1,700Nm and is an SCR-only unit without EGR. 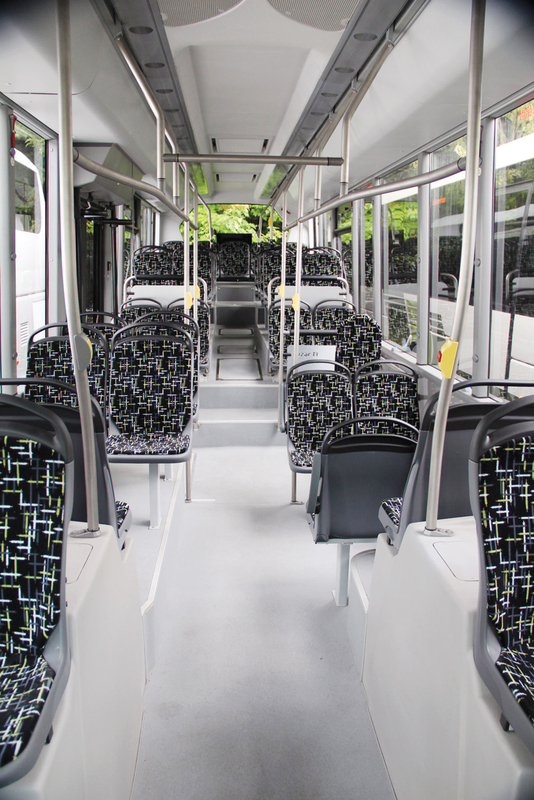 Inside the Euro6 i6 demonstrator. Unveiled to our party was the very first right hand drive Euro6 Scania i6 which maintains the same capacity as the Euro5 model. 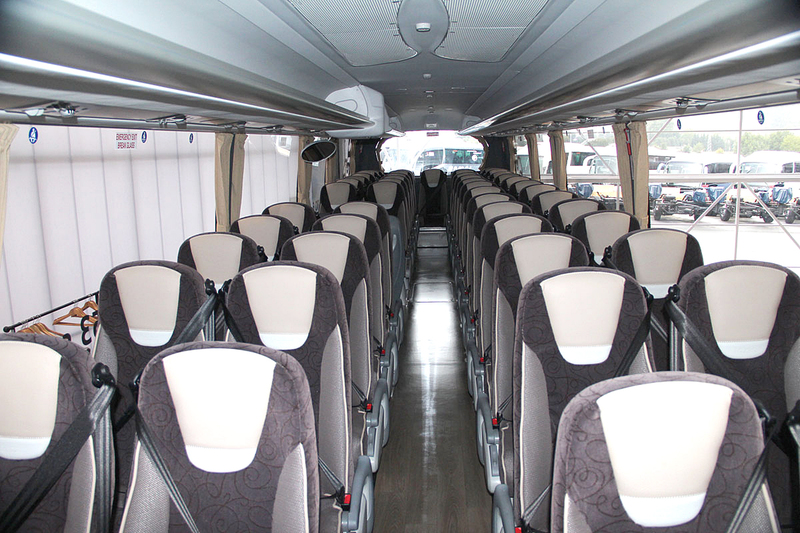 The newly opened delivery hall which provides spacious surrounding for three coaches to be delivered at a time, as well as the hosting of other functions. It is now 20 years since Scania and Irizar started working together to bring the Century body on the K113 chassis to the UK market. I was lucky to be one of the first to visit the plant when I joined the then MD of Scania Bus & Coach, Don Macintosh, on a visit to the Ormaiztegui plant in September 1993. Two decades on around 1,800 Irizar bodied Scanias have been sold in the UK and the combination’s share of the market is at a record level. 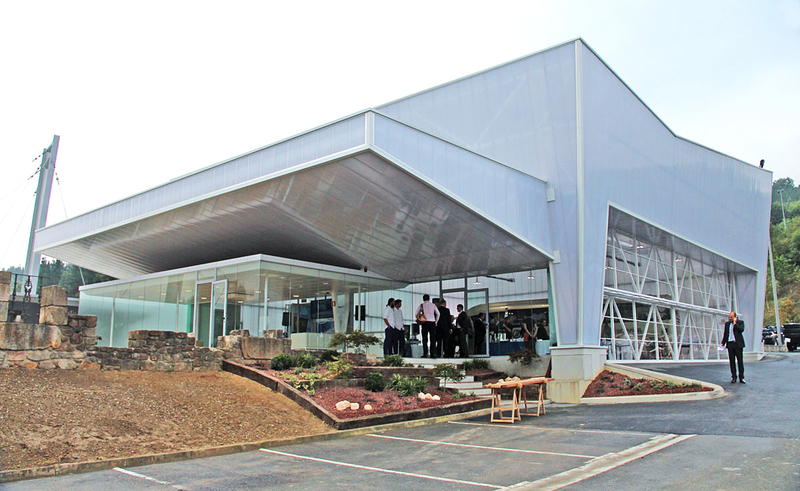 To celebrate the successful and ongoing relationship between the two partners they jointly invited a party of 50 operators, who between them had purchased around 550 examples, on a visit to San Sebastian to see the latest developments at the plant in Ormaiztegui and to sample a little of the Basque hospitality that makes every trip there something to cherish. I was delighted to be asked to join them along with the whole of the Scania bus and coach sales team. 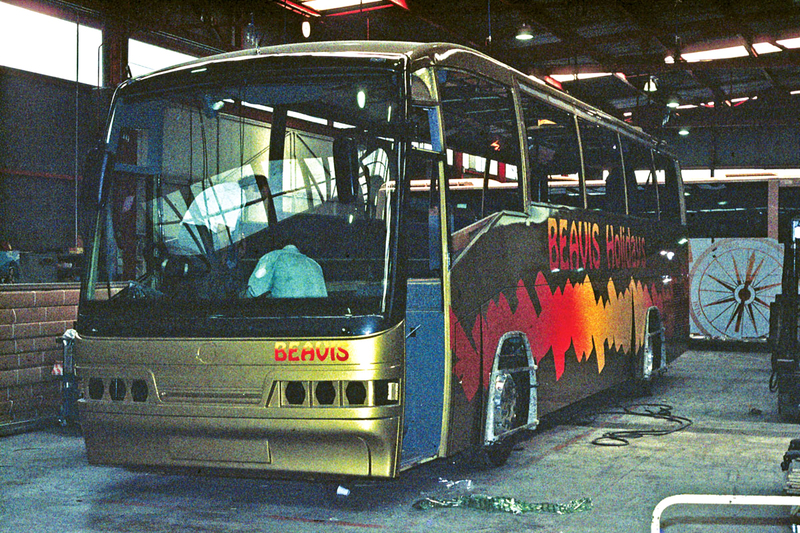 On that first visit, I had watched them applying the large compass mural to the graduated orange paint scheme of the very first vehicle for Harry Shaw, as well as the yellow and red flashes on the gold coloured Century for Beavis of Bussage, a vehicle that went on to win the Coach of the Year title at Brighton in 1994. 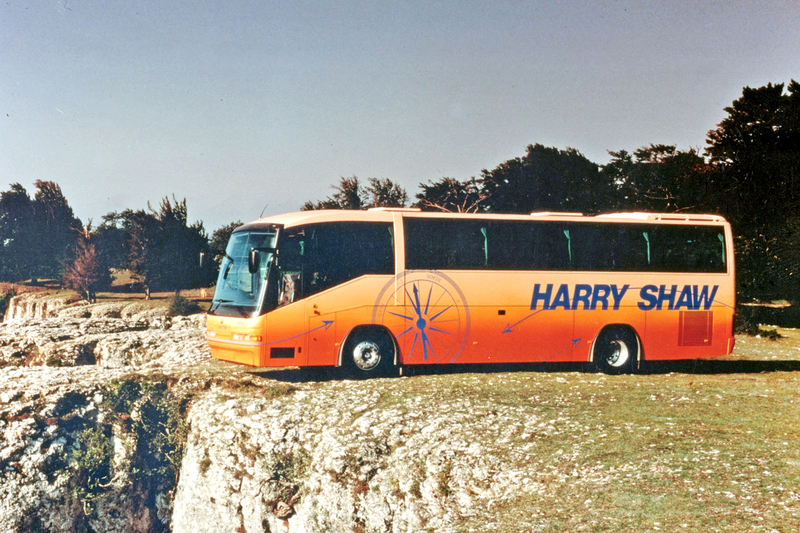 It was a good looking coach, usually supplied with 49 seats and a centre sunken toilet, and it immediately caught the imagination of operators and their customers. Mounted on the K113 chassis with 11-litre DC112.21 320hp engine and GR801 Comfort Shift gearbox, the 12.35 Century sold well and was soon joined by the tri-axle, high floor, Century 12.37, another best seller. 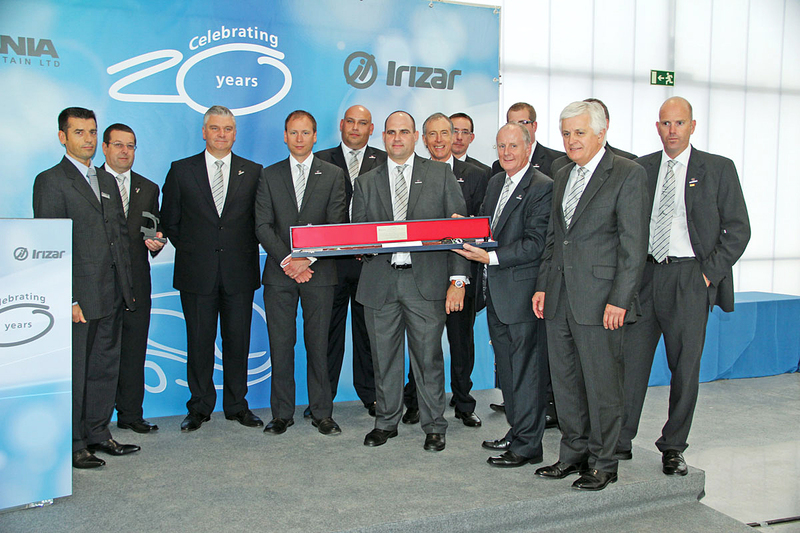 Though it can trace its origins back to 1889 and will next year celebrate 125 years of the business, it was not until 1927 that Irizar built its first bus. It went on to develop its range, offering it on a variety of chassis, as is the custom in Spain where operators traditionally bought the body and chassis separately. 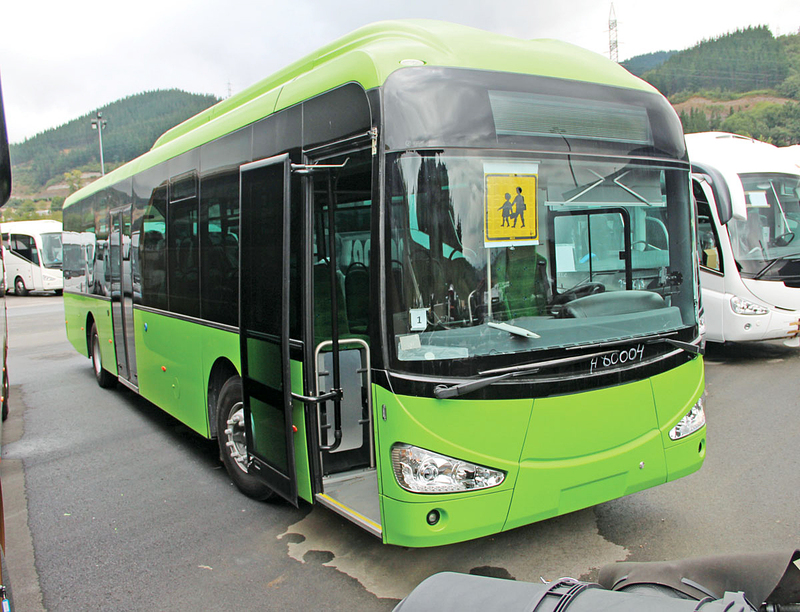 Unusually, Irizar is a cooperative rather than a limited company. For many years part of the Mondragon cooperative, it subsequently left that organisation and the Spanish company remains a cooperative owned by the employees. The five overseas operations opened in Morocco, Brazil, Mexico, India and South Africa, as well as the now closed Chinese joint venture, were not cooperatives but all operate on the basis that 20% of the profits are redistributed to the workforce. 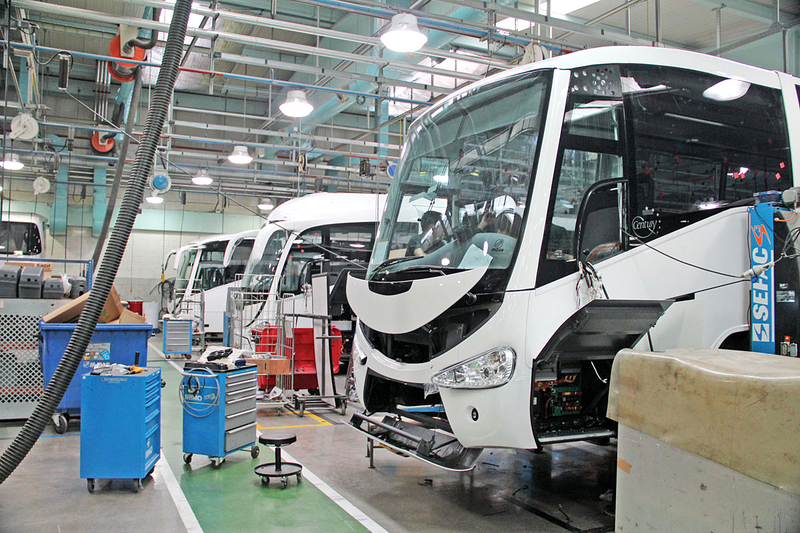 In total, Irizar currently has approximately 3,400 staff worldwide, 740 of them working at the Ormaiztegi plant. Before the link up with Scania there were two separate attempts to enter the UK market, both on Volvo chassis. The first was around 1980 when John DeCotta sold approximately 17 of the stepped roof Urko model after which Douglas Telfer’s Tramontana organisation imported small numbers of Pyrenean caches, a model derived from the coach sold in Spain as the Everest, to operators including Greyhound of Arbroath. However, it was not until the Scania tie up that buyers really started to take note. 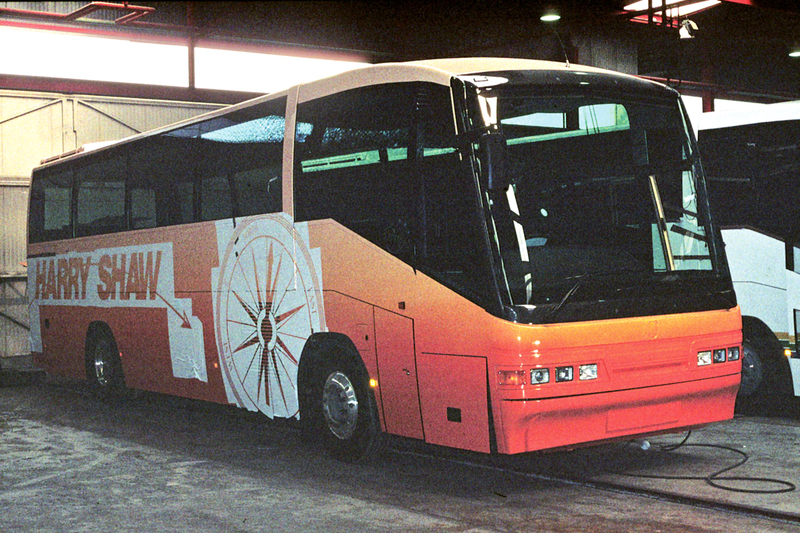 The Century had actually been launched in 1991 and, incredible as it seems today with its strong worldwide presence, Irizar was in poor shape in the early 1990s and in 1992 only built a total of around 250 units, including the Pony integral midicoach and the Dragon double decker. All of this was about to change, as was the way Irizars were built and the plant they were built in as the company went on one of the most successful international expansions a coachbuilder has ever achieved. 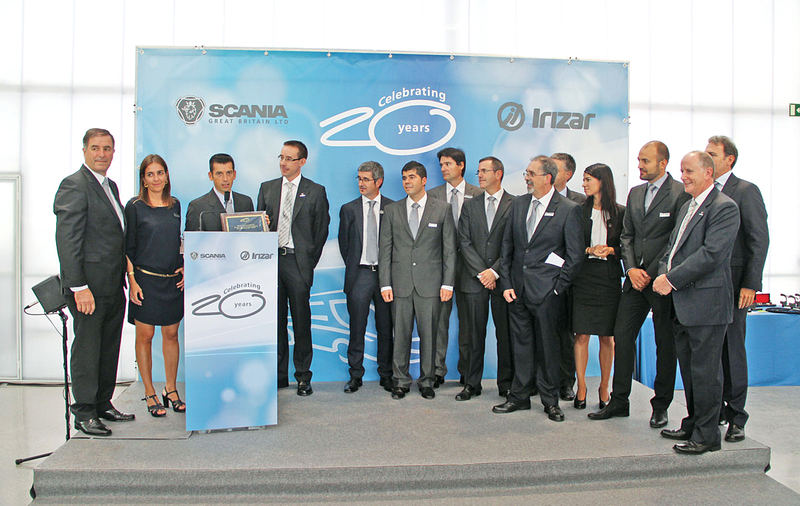 No story about Irizar and Scania’s relationship would be complete without mention of the two people most associated with establishing and nurturing it in its early years. Don Macintosh as MD of Scania Bus & Coach may not have been the first to look at the possibility of collaboration but it was he who took on the project and drove it from the Scania end. 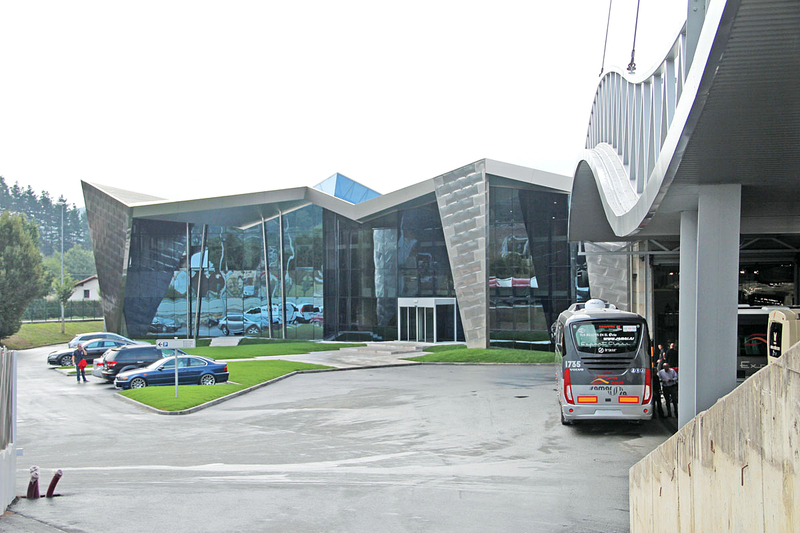 For Irizar, the can-do attitude and willingness to go the extra mile of its Export Director, the late Jose Aizpuru, made a huge difference to how people regarded the brand. 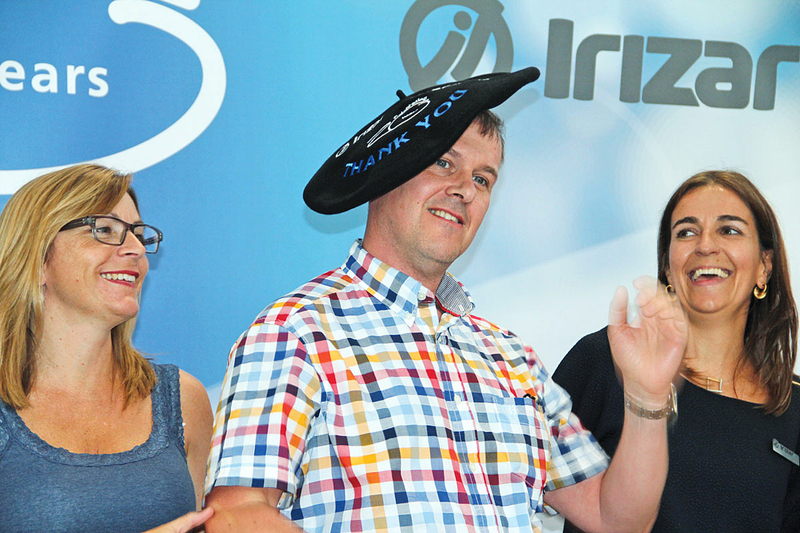 A gentle man with an unfailing instinct for locating excellent food and wine, his role was pivotal in welcoming many UK operators to the Irizar family. Of the 1,800 Irizar bodied Scanias supplied in the UK the best seller has been the Century model, which has undergone two major facelifts in the time it has been offered. Initially all were 12m long whether they were 3.5m high two axle or 3.7m high tri-axle models. There was also an odd short Scania Century delivered to Holmeswood and even a batch of five Midi Century models sold through Scania but mounted on MAN chassis. As well as the Century there was the low height Inter Century model which sold in limited numbers and a derivative of it for specialist school applications called the S-Kool. In 2002 the launch of the top of the range PB with its visually stunning exterior caused a great deal of interest, the model winning the International Coach of the Year 2004 title. It proved popular in the UK, not least with National Express which made it its standard coach for several years before the inability to fit a front entrance lift resulted in a switch. Many of the National Express vehicles were tri-axle and this combination proved popular with a lot of operators, notable among them being The Kings Ferry which started using the 14m model for its VIP fleet when it was still independent. More recently the low height i4 has replaced the Inter Century and S-Kool and the i6 has also come in proving a virtually instant success. The i6 can be supplied on two or three axles and a recent development of the range is a new 10.7m version, four early examples of which have gone to City Circle where they are performing well. I believe it had been envisaged that the launch of the i6 would mean the demise of the Century within the range but so popular is it that there are no current plans to drop the Century which will continue to be available at Euro6. 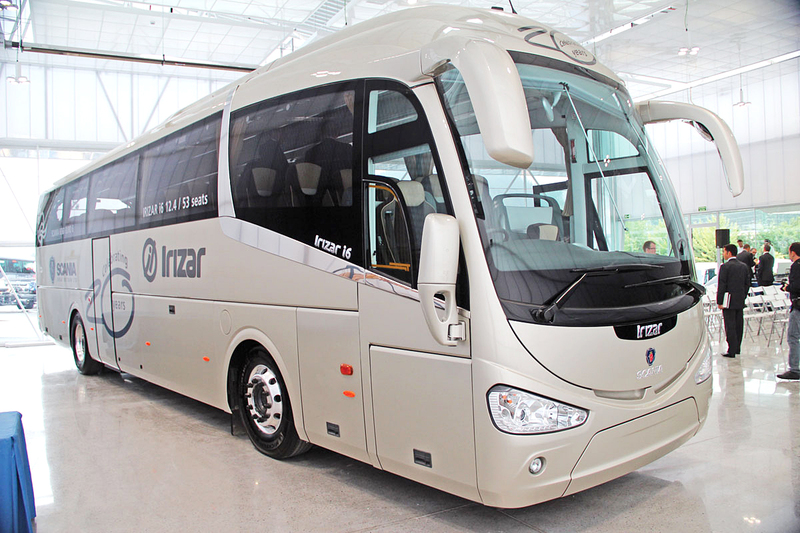 With the exception of the new i3 model, of which more later, all Irizar products for the UK are produced at the Ormaiztegi plant which has grown massively since my first visit and now has an installed capacity of 1,500 units annually, though last year it produced 900. The current build rate is five a day on a single shift. As a matter of policy, the production of around 30% of every vehicle is outsourced, including the manufacture of the seats and framing sections. Our party was shown around the plant which has six productions lines abreast and a supply road down the centre. After chassis preparation, the frame is added in pre prepared sections and once complete it is corrosion protected before panelling and then painting after which it proceeds through the various finishing stages. At the end of each working day the team move each vehicle one stage forward with the entire build process taking 14 working days. Models can be constructed in either carbon steel or, at a premium, stainless steel. There is a considerable degree of flexibility about what models can be built on which lines, though the bays to the left are longer and build the tri-axle models. Much in evidence during our tour were coaches for Israeli customers who between them have ordered over 350 units this year.